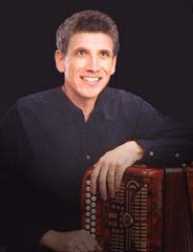 Charlie's experience in Irish music began at Irish céilís and parties in the Chicago area during the early 1970's, and in 1974 Charlie was asked to join a touring Irish group, The Dayhills Irish Band. Charlie married in 1976 and his wife Ann joined the group in 1978. In 1979 Charlie and Ann left The Dayhills to perform as a duo under the name Clairseach. This new role brought him more into the spotlight, not only accompanying Ann's featured harp playing, but his voice now became the foundation of their ballads, recitations, and stories. Subsequent travels with Ann have brought the two of them to 38 of the 50 states, much of western Europe, Australia and Taiwan. Charlie has studied Irish button accordion under Paddy O'Brien of Co. Offaly and Gaelic song interpretation with Daithi Sproule from Co. Derry. Charlie has recorded three albums with Ann: Let Erin Remember (1979), Ann's Harp (1981), and Héman Dubh (1997). He co-produced Ann's The Harper's Land (1983) recording with Alison Kinnaird for Temple Records in Scotland and was the producer of Ann's solo release Queen of Harps (1995) for the same label and of Ann's tracks on Christmas in the King's Court for Silver Bells Music, Nashville TN. 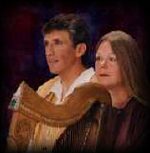 Charlie and Ann have completed numerous tracks for Planxty Productions of Montclair, NJ and Compass Productions of Minneapolis, MN, and they appear on a 1994 video history of Irish music in America entitled Far Away From the Shamrock Shore. Recent stages upon which Charlie has appeared include the Edinburgh International Festival in Scotland; the Lorient Interceltic Festival in France; the National Folk Festival in Australia; the Irish World Music Center, Bank of Ireland Arts Centre and National University of Ireland at Galway in Ireland; and the Palace of Fine Arts in San Francisco. "Charlie is one of the finest traditional Irish musicians and singers in the country." "Whatever the mood of the song - pensive, humorous, or mournful - [Charlie's] voice appropriately expressed the feelings of the Irish throughout history....[Charlie's] voice was clear and strong. His was an honest voice, never trying to affect an emotion, but rather letting the feeling influence him." "Charlie's voice is perfect for Irish ballads."